My family has always been there to support me along the way. My coach, John Nicks, is a great influence. 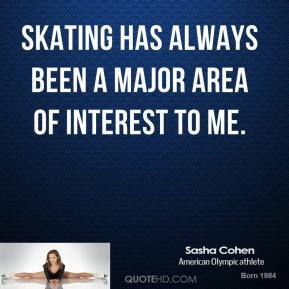 Skating has always been a major area of interest to me. 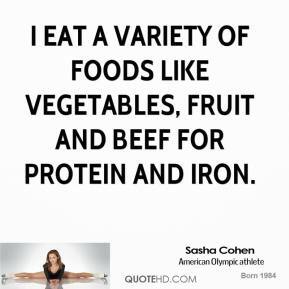 The night before I compete, I like to have steak. 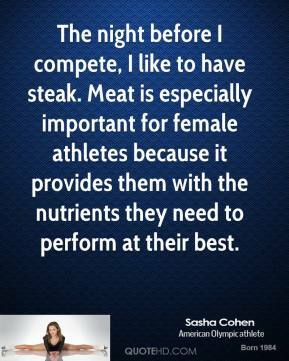 Meat is especially important for female athletes because it provides them with the nutrients they need to perform at their best. 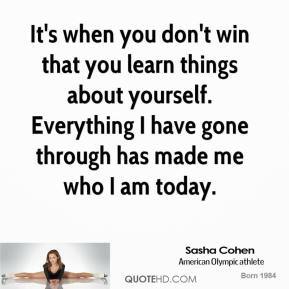 It's when you don't win that you learn things about yourself. Everything I have gone through has made me who I am today. I've stopped trying to be perfect. When I train, I'm not afraid to make a mistake. 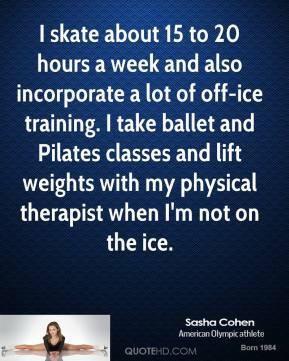 I train harder and make more mistakes, but I feel more prepared. 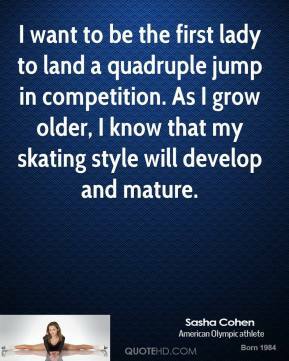 I'm not holding back and becoming a better athlete. It can be frustrating, ... 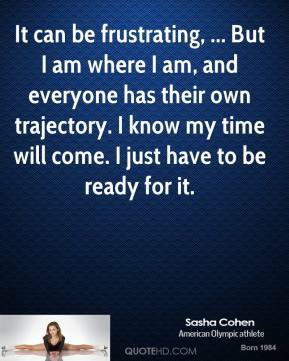 But I am where I am, and everyone has their own trajectory. I know my time will come. I just have to be ready for it. My mom and her parents had to leave because her brother had left a couple of years before and the government was really upset. 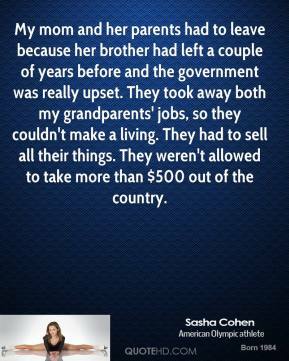 They took away both my grandparents' jobs, so they couldn't make a living. They had to sell all their things. They weren't allowed to take more than $500 out of the country. I asked him to say hi to my mom to prove he was there, and he was really great and nice and talked to her for a couple of minutes. My mom said she nearly fell off her chair, she was so excited. 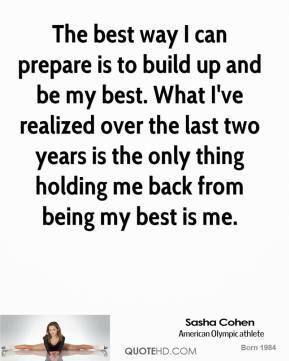 The best way I can prepare is to build up and be my best. What I've realized over the last two years is the only thing holding me back from being my best is me. 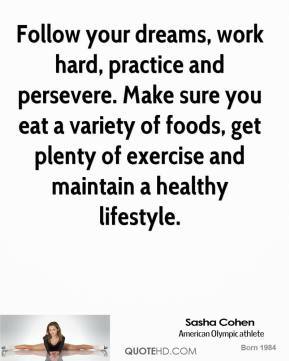 I've been training very hard and very well, ... 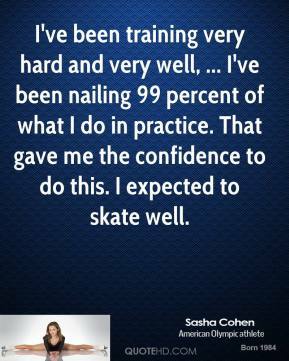 I've been nailing 99 percent of what I do in practice. That gave me the confidence to do this. I expected to skate well. 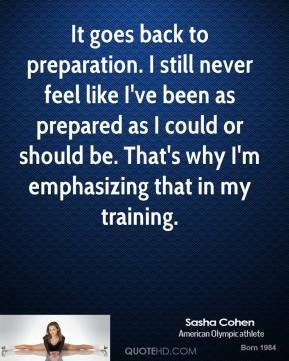 It goes back to preparation. I still never feel like I've been as prepared as I could or should be. 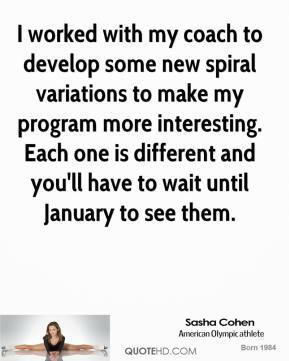 That's why I'm emphasizing that in my training. 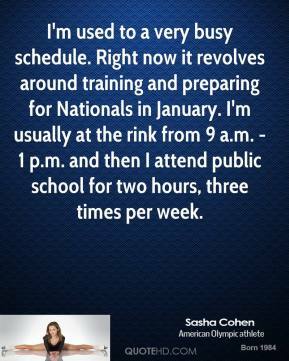 Of course, I say all the time my personal best is what I am in this for. 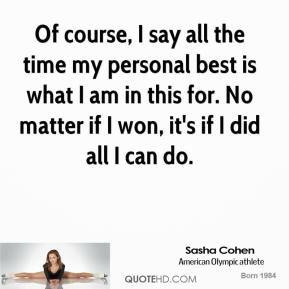 No matter if I won, it's if I did all I can do. I think it's always tough coming back from an injury, physically and mentally. 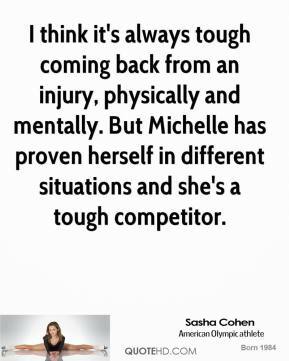 But Michelle has proven herself in different situations and she's a tough competitor. 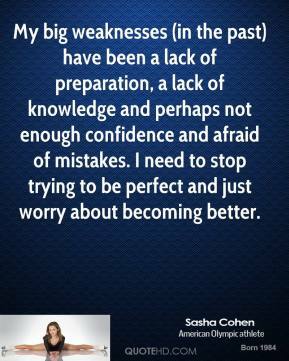 My big weaknesses (in the past) have been a lack of preparation, a lack of knowledge and perhaps not enough confidence and afraid of mistakes. I need to stop trying to be perfect and just worry about becoming better. I'm a little bit shocked. 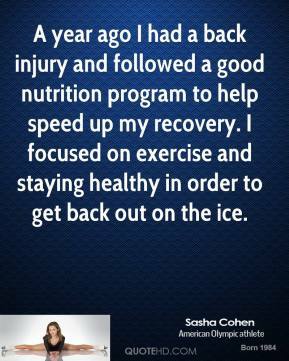 I know how tough it is to come back from an injury and get yourself together. It's great she tried, but things don't always work out. 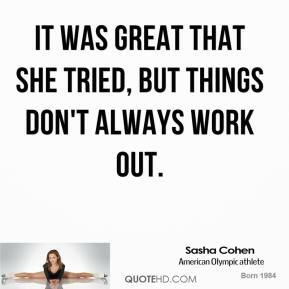 It was great that she tried, but things don't always work out.